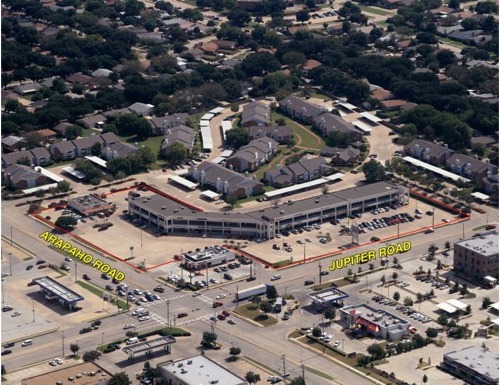 Greentree Square is located at the SEC of Jupiter Road and Arapaho Road in Garland, Texas. Residents from both Garland and Richardson create the center’s customer base. The two-story center is conveniently located with access to neighborhoods, Central Expressway (US 75) and President George Bush Turnpike (SH 190). Tenants include CiCi’s Pizza, Bleachers Sports Grill, Shipley Donuts, medical, dental, and other neighborhood office and retail services.